METEORIC RISE: It Won’t Be Long Now! The new multi-year bull market is here – but it’s not in the S&P 500 or the Dow or the Nasdaq. These overpriced market indexes have had a long and mighty run, but now they’re running out of steam, and they’re leaving us with a textbook setup for the greatest store of value ever invented in the history of humankind. The run-up in the price of gold will be nothing less than magnificent, though it really shouldn’t come as a surprise after we examine the data. You see, there’s a logic to price movements in commodities: it’s based on investors’ emotions, yes, but there’s a method to the madness. It’s what the top chart technicians call “resistance levels,” which, once broken, prime the markets for breakouts. Round numbers ending in zeros are the most powerful and psychologically significant resistance levels, and once broken through with decisive price action, the move to the upside is usually unstoppable. The first resistance point was $1,200; note how after the $1,200 level was breached decisively, it became a support level in November, with the price bouncing perfectly off of it. Clearly, the next resistance level is $1,300, and it’s already testing that resistance level. Much of 2018 was a basing or consolidation process for gold, and there was a multi-month period of tight-range price action leading to a swift breakout in the fourth quarter. Long-lasting basing processes tend to lead to bigger breakouts, and the rapid move from $1,200 to $1,300 is drawing new investors in because they’ve been waiting for the green light to make their move. The whole world is recognizing gold’s everlasting value, and the price has reflected this with remarkable gains. In December of 2018, we witnessed gold rising by 4%, its biggest monthly advance since January of 2017. And in the fourth quarter of 2018, gold gained 6% while the S&P 500 lost 15%. But something else happened in Q4: the gold miners gained 12%, outperforming gold and handily beating the major blue-chip stock market indexes. I’ve been recommending selected gold mining companies as a vehicle for leverage in this new gold bull market, and my favorite among these companies is Sandspring Resources Ltd. (TSXV:SSP, OTC:SSPXF). Sandspring, which explores for and develops gold, silver, and copper deposits in Guyana, South America, has a flagship project called Toroparu: a world-class, 100%-owned 10-million-ounce-and-growing gold asset located in the mineral-rich and mining-friendly Guiana Shield region. 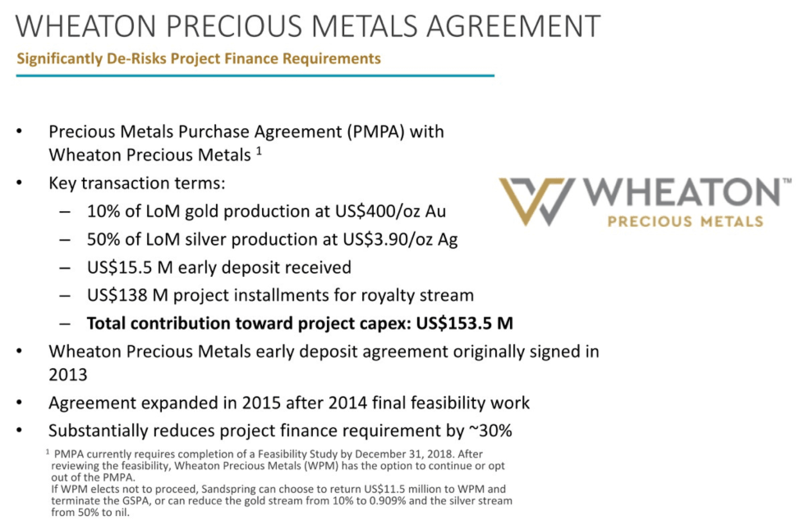 The Toroparu project received a substantial boost – while at the same time significantly reducing risk – through a sizable capital infusion from Wheaton Precious Metals (formerly Silver Wheaton), resulting in the project’s finance requirements being reduced by around 30%. In addition to Toroparu, Sandspring also has 100% ownership of the Chicharron Gold Project within the Segovia Mining District of Colombia. In fact, Sandspring recently announced that they were commencing a drill program on this project – and it’s ideally situated, as Segovia’s high-grade mines have been in continuous operation for over 150 years and have produced over 5 million ounces of gold. As gold prepares for its meteoric rise in 2019, we’re preparing our portfolios with shares of SSP/SSPXF. Sandspring Resources is, hands down, the best investment choice today ­– less risk and more leverage as we ride gold all the way to the top. EMERGENCY LANDING: Dollar’s Erosion Will Be UGLY!